40' Intrepid Cuddy 2015 is new to market. She is equipped well with triple 300 HP mercury Verados with 25 hours and warranty until 2021! 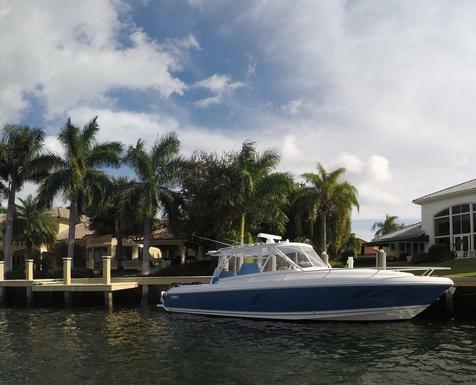 She is equipped with great Garmin electronics package and Fusion sound system. Click below for full specs.